Reilly is an associate in the general litigation group in our Vancouver law office. 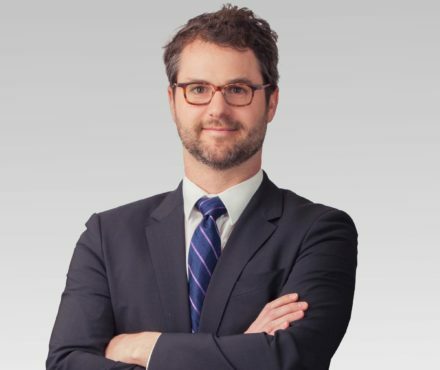 He obtained a Bachelor of Arts from McGill University before attending the Faculty of Law at University of Toronto, where he graduated with a Juris Doctor in 2012. Prior to joining Lindsay Kenney LLP, Reilly articled and practiced at a leading regional firm. Reilly provides advice and representation to clients in all manner of civil disputes with a particular focus on fraud, real property, and commercial transactions. He also has extensive experience in bankruptcy and insolvency where he regularly acts for companies and individuals to recover assets, enforce security, or obtain relief from debts. With a practical and results-oriented focus, Reilly strives to obtain a negotiated resolution wherever possible. Nevertheless, when disputes go before the court, Reilly has the experience and skills necessary to achieve favourable results for his clients. He has appeared in the British Columbia Supreme Court, the British Columbia Court of Appeal, and the Alberta Court of Queen’s Bench. Reilly’s interests outside of law include hiking, motorcycling, and film. 2017 02 09 BCCA Bankers Mortgage Corporation v. Plaza Hotels Ltd.